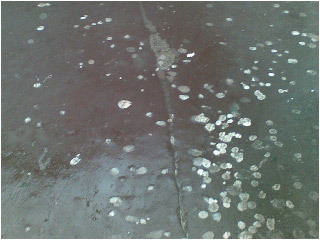 Unsightly and unhealthy chewing gum removal - from pavements, shop fronts and other public areas, driveways, school yards, internal and external hard surfaces and carpets. 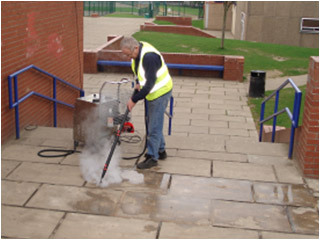 Traditionally, high pressure water jetting has been used, however this can damage the surface and cause many problems. 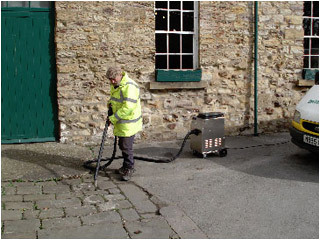 Our process is non damaging, allowing cleaning to be carried out with little or no inconvenience. 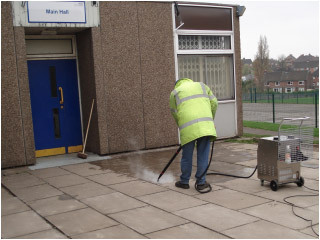 Our environmentally friendly equipment removes chewing gum from internal and external hard surfaces, and can even be used on some carpets and matting, leaving the surface completely free of unsightly dried gum. We also provide Equipment Hire, Sales and Service - Get in Touch!